The New York Times recently published an article: How the Word ‘North’ Affects Prices: Living Along Central Park North. 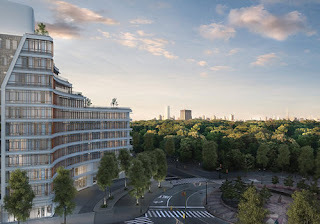 I was fortunate to have been quoted in the article along with a link to my sale and rental exclusive listings at 45 Central Park North, an HDFC income restricted coop. 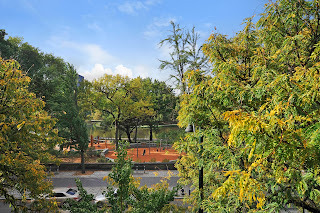 The Times did a great job capturing the many aspects of the hyper-local neighborhood in Harlem Central Park North also known as West 110th Street. One of the great things about CPN is the breathtaking panoramic views of Central Park, Harlem Meer and downtown Manhattan. Apartments with park views along Central Park North are selling at significantly lower prices than comparable apartments on Central Park West, Central Park South and Upper Fifth Avenue. While some of the new condos on CPN are trying to get prices equivalent to CPW and CPS there are many pre-war coops, even income restricted coops for low to moderate income households. The neighborhood offers all the leisure, cultural, educational and recreational activities of Central Park right at your front door and convenient transportation. The #2 and #3 train at 110th and Lenox Avenue (Central Park North) and the B and C trains at 110th and Central Park West also called Frederick Douglas Boulevard above 110th Street. West 110th Street from Frederick Douglas Circle to Broadway is known Cathedral Parkway named for The Cathedral of Saint John the Divine at west 110th and Morningside Drive. The building at 285 West 110th Street formerly 2040 Frederick Douglass Boulevard, at Central Park's northwest corner on the border of the Upper West Side and Harlem along Frederick Douglass Circle is the Circa Central Park. Central Park North may be the neighborhood you are looking for.